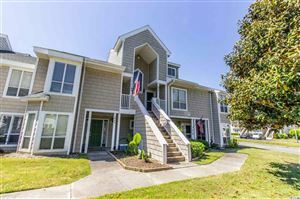 Located in Myrtle Beach, SC, the Emmens Preserve community is within walking distance to the shops and dining at Market Common and Myrtle Beach State Park. Community residents are able to enjoy a host of amenities including Emmens Park with two summer kitchens, fire pits, putting green, bocce-ball court, amphitheater, cardio room and resort-style pool. These features are in addition to acres of landscaped and natural beauty, expansive lakes, walking paths, bike trails, and athletic fields. RE/MAX Southern Shores real estate agents can find exactly the kind of property you are looking for at Emmens Preserve. Call RE/MAX Southern Shores today at 843-839-0200 to begin your home ownership search. What is so special about Market Common in Myrtle Beach? Market Common offers a unique residential experience within a true urban village community. Market Commons blends city energy with relaxed beach living. You can shop for groceries, find the hottest items in retail, enjoy a fabulous meal, see the latest movie, browse for best selling books, stroll by the lake, or take a bike ride to the beach without ever getting into your car! The Market Common is a community where you can experience exceptional living, shopping and dining in a beautifully-designed setting. From celebrated names in retail and dining to a spacious movie theater steps from the beach, The Market Common is a great place to call home! An experienced RE/MAX Southern Shores agent will make buying a home, townhouse, condominium or investment property a reality. You won’t be disappointed. Call RE/MAX Southern Shores today at 843-839-0200. The Market Common is a place where RE/MAX Southern Shores agents can find the exact property YOU are looking for. There are two or three-bedroom, beautifully designed townhomes and single-family homes as well as home-to-work properties with rental and retail opportunities. With so many choices, there’s a perfect home to meet your needs. Tucked into the Market Common Area is the comfortable and affordable Emmens Preserve. Emmens Preserve showcases townhomes and homes priced less than $200,000. Some properties feature luxury upgrades including hardwood floors and gourmet kitchens with granite countertops and stainless steel appliances. Emmens Preserve homes have the three factors that satisfy homeowners: affordable prices, quality construction, and an ideal location. Emmens Preserve in Market Common is one of the most desirable new home communities along the Grand Strand. It’s easy to see why Emmens Preserve and the Market Common have become a favorite neighborhood for home ownership in Myrtle Beach. Come experience this amazing community with an experienced RE/MAX Southern Shores agent. Call RE/MAX Southern Shores today at 843-839-0200. 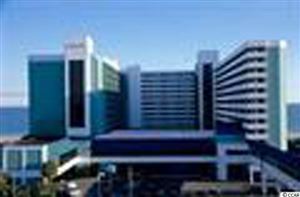 Live in sunny, temperate Myrtle Beach, South Carolina by calling 843-839-0200! Purchase your next home in sunny Myrtle Beach, South Carolina, and be on vacation year-round! The city is nestled along the beautiful beaches on the Atlantic Ocean and is a friendly community at the quiet southern tip of Myrtle Beach. Market Common and Emmens Preserve is within a mile of Myrtle Beach State Park with a fishing pier, nature trails, camping, and educational programs. Discover the temperate climate, housing choices, and gracious living of Myrtle Beach, and you'll agree that it’s no wonder thousands of people call Myrtle Beach home!